The June solstice is here once again, marking the longest daylight period of the year and the start of astronomical summer in Earth’s northern hemisphere. You will have a little longer to sip a cocktail today so enjoy this Summer Solstice Cocktail. Cheers! Combine all ingredients in a cocktail shaker. Shake and strain drink mixture into two chilled martini glasses. 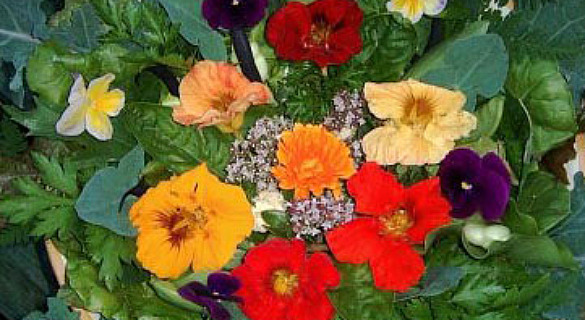 Garnish with orange wheel and a Nasturtium flower.